Bricky® :: Wall Building Tool :: Let’s Build It Right! 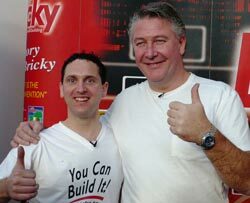 Bricky® is the brainchild of Noel Marshall who has been inventing wall building tools since 2000. Noel’s other popular inventions include Marshall Profiles®, Masons Mate & Pro-Pointer. Noel believes due to the permanency of walls, their construction should be to an exact standard in line with building regulations and display the aesthetic beauty for which they’re intended. The Bricky’s ease of use ensures the DIY person can now build to a professional standard. Brickwork typically spans generations, they don't rust, rot, erode or decay. Brick is a solid, permanent and low maintenance material that provides lasting beauty and appreciating value – brick offers true longevity. 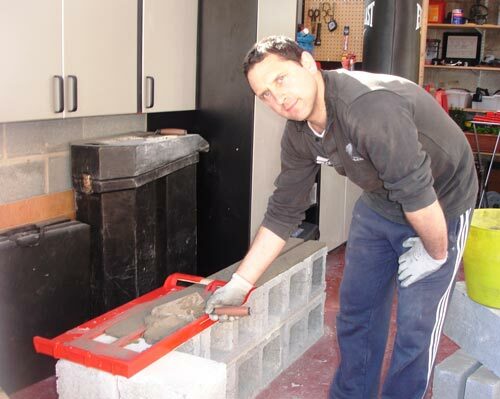 Brick have been around for thousands of years, it’s one of the only truly tried and tested materials known to man. Feedback is consistent, people are beyond pleased with the results they're achieving. “The Bricky will become as common as the garden spade. Everyone can use it to good effect”. For accuracy & efficiency, Nothing compares.